The United Kingdom Special Operations Forces selection is pretty much the same for all the three SOF units – 22 SAS, SBS & SRR. Selection takes place in the Brecon Beacons, twice a year. Volunteers can come from any section of the British Military provided they have completed 3 years of service, should not be older than 32 years (though I have read the SBS allows those with 2 years experience to volunteer for the unit). Before actual selection begins, all volunteers must be able to complete the British Army PFT. The initial phase of selection is of 4 weeks and this is where the majority of the candidates fail especially in winter selection where it snows like hell in the Elan Valley, people have actually died in SAS selection due to the harsh terrain. After the PFT there is a 1 week Special Operations Forces briefing course where candidates are briefed about SOF activities, they are tested on the map and compass for navigation skills, combat runs take place. The Fan Dance: These marches have candidates go up and down the hills with combat loads. Point-to-Point: Candidates are rigorously tested on their endurance, map reading and navigation skills. In these marches candidates are supposed to go from one point to the other, where upon reaching a particular point the candidate is supposed to show the DS(Directing Staff) his next point on the map. All marches are timed. The Sketch Map: Candidates are supposed to march 35 kilometers with a hand-drawn map rather than a printed one which is normally used in selection. Endurance March: The final and ultimate killer, candidates are supposed to complete a 64-kilometer march with a 70-pound bergen in 20 hours. Upon completing these 4 weeks successful candidates who opted for the SBS and SRR move on to complete different phases taken by their own units, Those opting for the 22 SAS now move on to a 4 week initial continuation training course where they are taught to fire weapons used by the regiment and other foreign weapons, demolitions etc. The next phase is another 6-week killer phase known as “Jungle Phase” where they are taught operational and tactical skills to operate and survive in a jungle. This training takes place in the “British Army Jungle Warfare Training School” located in Seria, Brunei. Candidates are taught combat, LRRP(Long Range Recon Patrols), survival skills for a jungle environment. Candidates are known to lose up to 10-14 pounds of bodyweight in this phase. 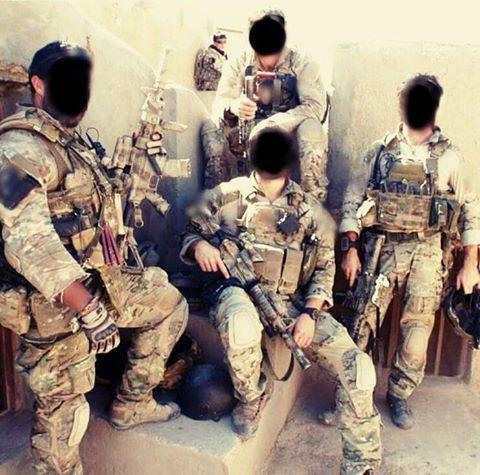 The Special Air Service (SAS) is a special forces unit of the British Army. The SAS was founded in 1941 as a regiment and later reconstituted as a corps in 1950. The unit undertakes a number of roles including covert reconnaissance, counter-terrorism, direct action, hostage rescue and human intelligence gathering. The last phase is “Combat Survival”. In this phase, the final test includes candidates to evade a hunter force composed of men from the SFSG(Special Forces Support Group) and undergo interrogation. If they fail then they have to repeat Selection right from the beginning in their 2nd and last tryout to be part of the SAS. The successful completion is indicated by a DS with a white band around his arm and the words “your war is over”. Once the combat survival phase is passed, candidates move on to their respective squadrons(A, B, D, G) and earn the sand colored beret with the flying dagger symbols, with the legendary words “Who Dares Wins”. Within the squadrons are different troops like Air, Mobility, Boat and Mountain troop. Enlisted personnel revert to the rank of troopers. Officers are demoted to their previous rank and they serve an initial 3-year tour with the SAS and may return for another tour. Newly badged members must complete counter-terrorism training to be part of the Red and Blue CT Teams of the SAS that are stationed in the UK, other skills include communications, demolitions, language, sniper, HAHO, HALO etc. British SAS selection is reputed to be among the toughest in the world with an average pass rate of 10% to as low as 3-4% in the 90’s, in some cases in the late 60’s no one passed SAS selection. My respect to the British for creating what is possibly the most lethal feared and innovative Special Forces unit in the world that become an example for other SF units to follow.